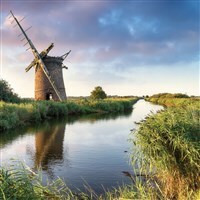 The Broads are a network of mostly navigable rivers and lakes in the counties of Norfolk and Suffolk. The lakes, known as broads, were formed by the flooding of peat workings and is an area of outstanding natural beauty. 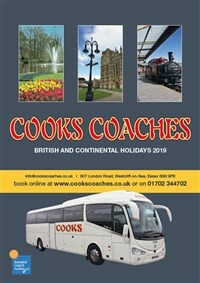 We make our way first to Wroxham, the centre for its leisure activities, then embark on our included cruise in the afternoon. Look out for cruisers, yachts and wherries from the purpose-built cruiser on which we sail. Transfer to Norwich for dinner, bed & breakfast. Sheringham is a pleasant coastal town in North Norfolk and we travel from here to Holt, and back, on the so-called ‘Poppy Line’ This Heritage Railway carries very large numbers of passengers (approx 165,000 last year) who appreciate the country railway atmosphere created by the large number of volunteers (over 400) who keep everything running. Leave in the afternoon to return to Essex. A memorable experience sailing the Broads on a luxury cruiser. Travelling along the River Bure to Ranworth Broad,there are lovely old thatched houses, windmills and reed beds. There is an abundance of wildlife and an excellent onboard commentary about it all. Also the North Norfolk Railway, the Poppy Line, which offers a 10.5 mile round trip by steam train (vintage diesel trains on some journeys) through a delightful area of North Norfolk designated as being of outstanding natural beauty. BEST WESTERN BROOK HOTEL http://www.bestwestern.co.uk/. To the west of Norwich, our hotel has accommodation for 150 guests. No lift, but all the bedrooms are on the ground or first floor. The en suite rooms have TV, telephone and tea/coffee making facilities. It is a convenient location for our included excursions.